MAKANA A. ELLIS received her Bachelor of Arts degree from Yale College (2005) and her Juris Doctor degree from the University of New Hampshire School of Law (2012). 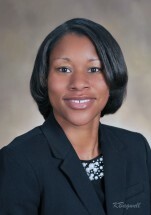 She is admitted to practice law in the state courts of Connecticut and New York. Attorney Ellis represents clients in family law, including divorce, custody, and visitation matters; real estate transactions; and, estate planning and criminal law. Attorney Ellis worked as a Public Defender at the Bridgeport G.A. 2 Courthouse, representing clients on the motor vehicle and domestic violence dockets in criminal court and providing arraignments. Attorney Ellis also clerked at the New Haven J.D. Superior Courthouse in family, civil and criminal courts. She assisted judges, attorneys and self represented parties during trials and hearings, jury selection and conducted legal writing and research. Prior to law school, Attorney Ellis worked at Yale University as the inaugural director of the Dixwell-Yale University Community Learning Center, an educational facility which provided after school programs for New Haven area youth and health and wellness programs for adults. Attorney Ellis is an active member of a number of professional and civic associations and boards, including the Family Law Section of the Connecticut Bar Association, the New Haven County Bar Association and the Middlesex County Bar Association. She is a native of New Haven. Attorney Ellis enjoys skiing, the theater, live music, sporting events, cross fit and the Connecticut shoreline. Attorney Ellis joined Dzialo, Pickett & Allen PC in 2017 as an associate attorney.